The City of Fort Myers has been quietly building a public art collection for decades. Its earliest public artwork, the Tootie McGregor Fountain, dates back to 1913, with The Spirit of Fort Myers (popularly known as Rachel at the Well) at Edison Park on McGregor Boulevard being cast by sculptor Eric von Zengen in 1926. 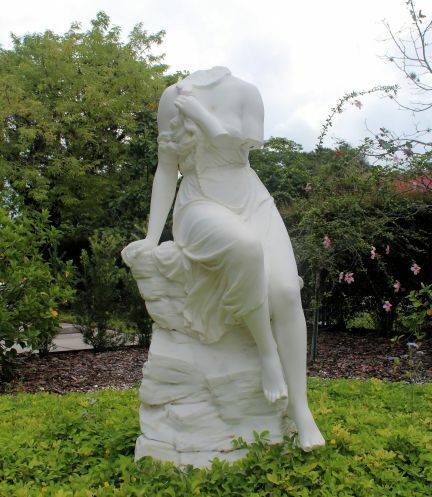 In 1959, local resident Evelyn Rhea devised an 1880 white marble sculpture of a German siren named Lorelei to the local library, but it would be another 30 years before North Fort Myers sculptor D.J. Wilkins began casting a host of representational sculptures beginning with the Henry Ford Bust in 1985. The next fifteen years would see the “Sculptor of Fort Myers” add landmarks like The Florida Panther (1988), Uncommon Friends (1988), The Great Turtle Chase (2000) and Clayton (2000) to the Centennial Park landscape, the Harborside Collection of busts in 1989, and the Wes Nott Statue at Lee Memorial Park (2000). 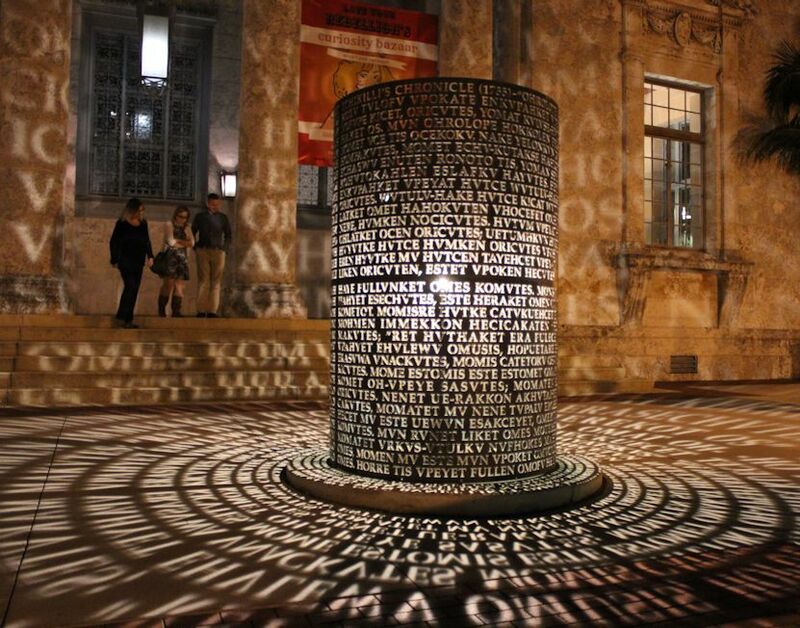 In 2001, Florida Power & Light Co. gave the city Caloosahatchee Manuscripts (the Jim Sanborn light sculpture that bathes the Sidney & Berne Davis Art Center in illuminated letters after nightfall) to commemorate the conversion of its power plant from oil to natural gas. 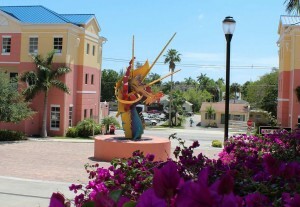 But it was not until 2004 that the city established a formal public art program. 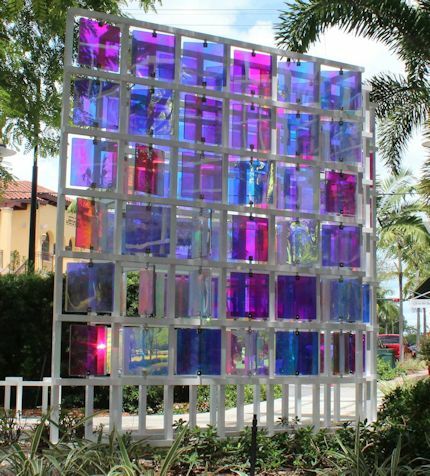 Under Fort Myers’ public art ordinance (which was amended and restated on April 17, 2017), the City has obligated itself to pay into a public art fund one percent (1%) of the cost of vertical capital improvement projects with a construction value of $250,000 or more. The ordinance also applies to remodels of city-owned buildings where the construction value of the remodel is fifty percent (50%) or more of the buildings’ replacement value, provided that the building has a replacement value of at least that amount. The contribution is capped for projects of $25 million or more at $250,000. federal, state and other local governmental agencies, including multijurisdictional instrumentalities and entities. Of course, each of these groups is encouraged to make a one percent contribution or install their own artworks on developments of $250,000 or more, PUDs of $250,000 or more, and remodels with a construction value equal to or more than 50 percent of the replacement cost of the building being remodeled or rehabilitated. 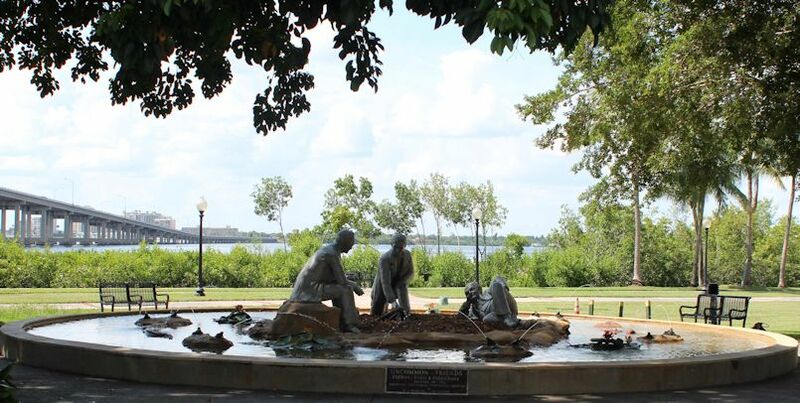 Monies contributed to the city’s public art fund are administered by a 9-member Public Art Committee (which consists of 7 voting members and 2 alternates). Members serve for three year terms, are not compensated, and must either be a resident of the city, work in the city, or be a member of an arts board or committee that is located in the city. 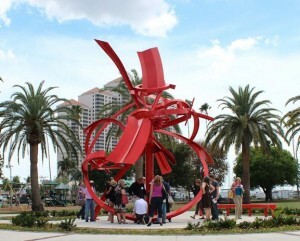 The Public Art Committee oversees the commissioning, review, installation and maintenance of public art within the City. 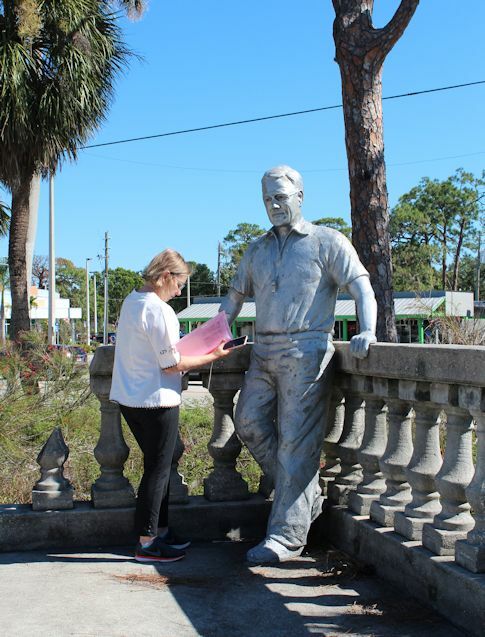 The ordinance gives property owners and private developers the option of commissioning and installing their own public artworks in lieu of making a cash contribution to the city’s public art fund. 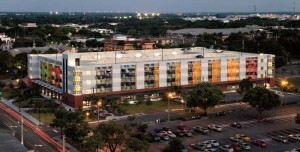 Riviera Development Group became the first private developer to take advantage of this opportunity in 2009. 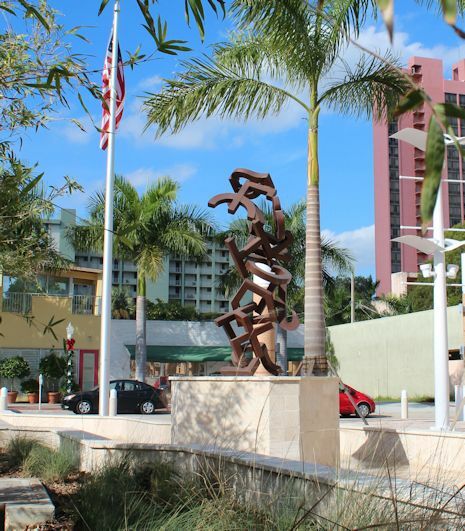 They chose renowned monumental metal sculptor Albert Paley to create a freestanding abstract for the entrance to the St. Tropez Condominium Complex (which includes adjoining Beau Rivage). 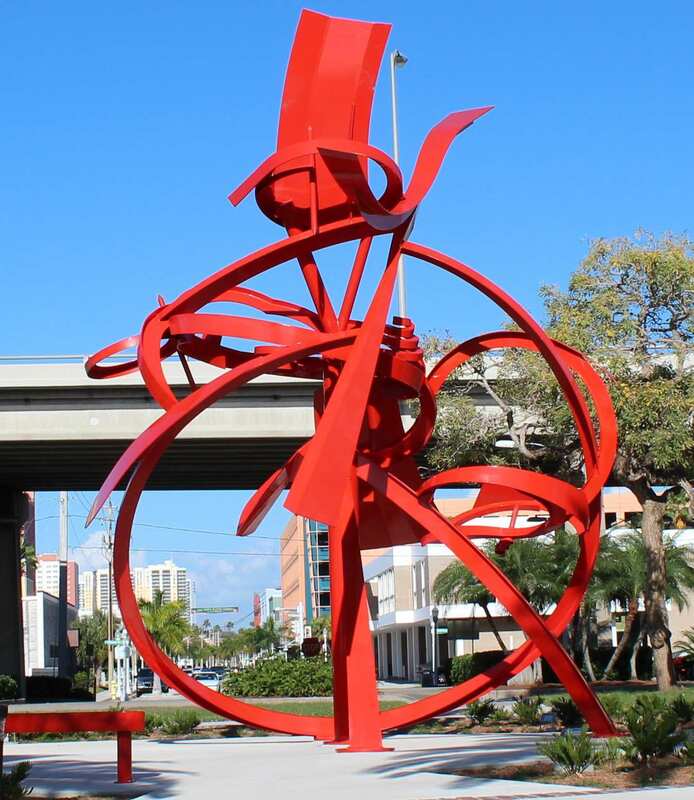 The result is Naiad, a colorful, soaring sculpture that stretches three stories into the Florida sky. 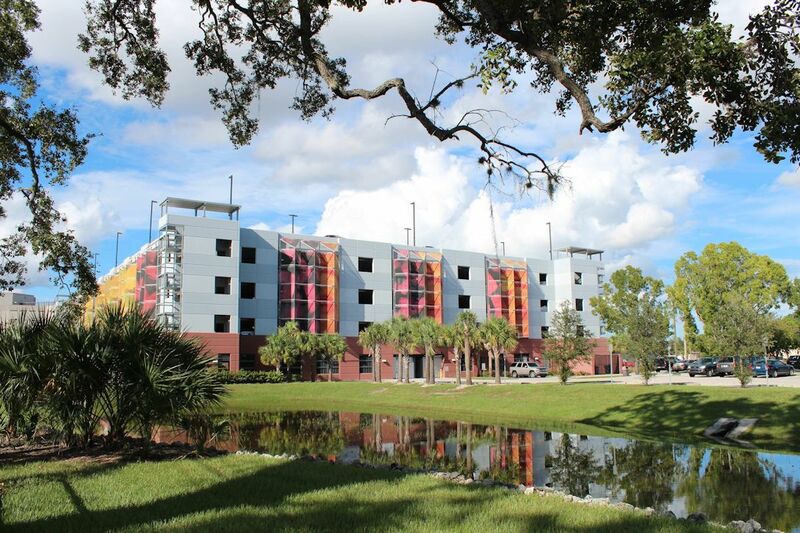 In 2010, the City partnered with Lee County to install 30,000 square feet of art panels called Parallel Park on the newly-constructed 5-story Lee County Justice Center Parking Garage. 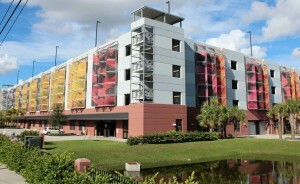 Created by New York abstract expressionist Marylyn Dintenfass, the twenty-two 22 x 33′ panels not only have first-time visitors asking if the parking garage is the fine art museum, they have brought Fort Myers considerable national attention in the form of articles and a 2011 monograph by Aliza Edelman titled Marylyn Dintenfass Parallel Park. Fire Dance was the first public artwork to be commissioned and installed by the Fort Myers Public Art Committee using funds contributed to the city’s public art fund. Dedicated March 2, 2012, the Dupont red proto-architectural sculpture is the product of internationally-renowned monumental sculptor David Black, whose design beat out those submitted by 161 other artists who vied for the honor of creating a piece that represents the energy and vitality of Centennial Park during public events such as concerts, jazz festivals and Fourth of July fireworks displays. Since Fire Dance‘s dedication, the Public Art Committee has installed two additional public art commissions, Marks & Brands, an homage to Fort Myers’ origins as a rough-and-tumble cow town during the last third of the 19th century that graces the courtyard of the new Lee County Library on First and Royal Palm Boulevard, and What Dreams May Fly and How They Fly, a mosaic tile sculpture located in Clemente Park that references the complex history and unique accomplishments of the Dunbar community. Only churches are exempt from the ordinance, so even people and contractors building expensive single-family homes are subject to the language in the ordinance encouraging optional participation in the city’s public art program. But why would a property owner, homebuilder or commercial contractor and the architects and design engineers who assist them want to add thousands of dollars to the construction costs associated with a project if they are not legally obligated to do so? 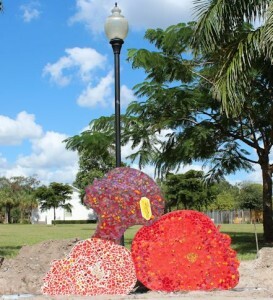 It turns out that there exist many very good reasons to support Fort Myers’ public art initiative. 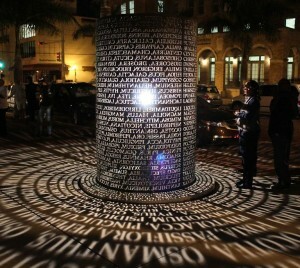 creates “human scaling” of open areas by framing the space with various forms of public art structures. 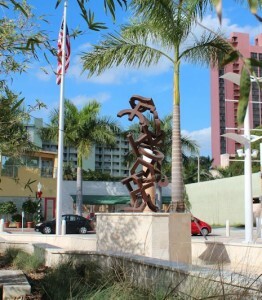 In fact, many of these factors are cited by the City of Fort Myers in the preamble to its public art ordinance, but an even more concrete case can be made to support the City’s decision to mandate public art contributions on its own vertical capital improvement projects and encourage voluntary participation by property owners, homebuilders, commercial contractors, developers and other governmental agencies. 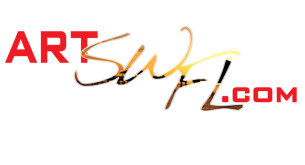 Tourism is extremely important to Southwest Florida. In 2016, Lee County alone welcomed nearly 5 million visitors. During their time here, they spent $3 billion in the aggregate and supported 57,000 (or one in five) full-time jobs. Most came to enjoy the warm weather, white sandy beaches and bountiful fishing. But modern travelers also want to experience places and activities that authentically represent the stories and people of the past and present. These “cultural heritage tourists” stay longer and spend more money than other kinds of vacationers. 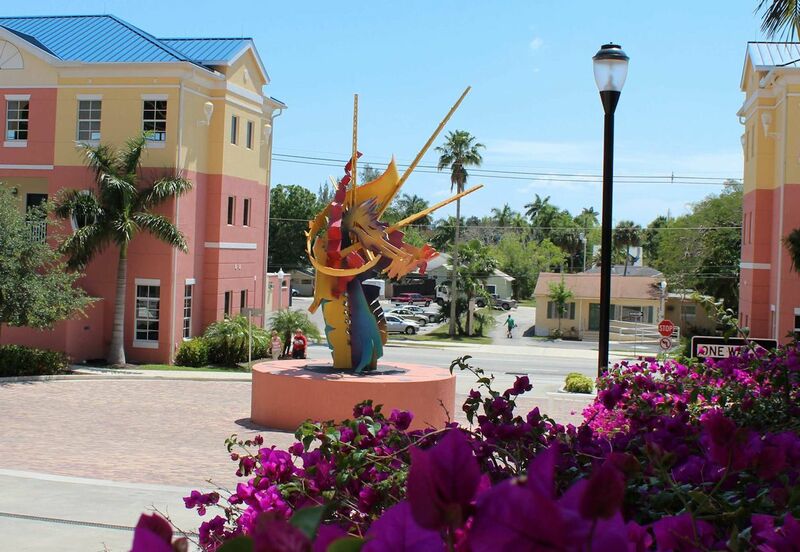 Fort Myers’ unique blend of carefully-restored historic buildings and the galleries, shops and restaurants who occupy them are our calling card, and within this framework, our public artworks bring the defining moments and figures from our past to life in an engaging, visual manner. 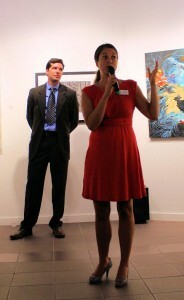 The arts mean business in Fort Myers. 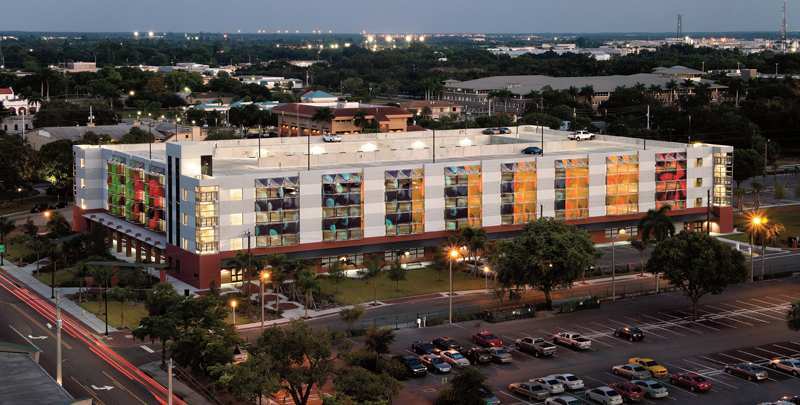 According to a report published by Americans for the Arts and supported by the Alliance for the Arts, Fort Myers’ nonprofit arts and cultural organizations produced $49.7 million in economic activity in 2015, supporting 1,389 full-time equivalent jobs (which is nearly three times the median for comparably-sized cities). Countywide, the economic impact of the nonprofit arts sector exceeded $140 million and supported 3,875 full-time equivalent jobs. On top of that, one in four folks attending an art festival or exhibition, play or other cultural event came from outside the county. 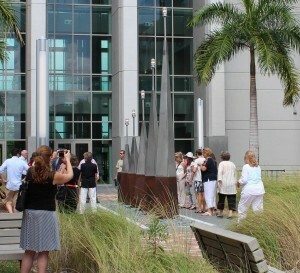 While these attendees may not have come specifically to see our public artworks, by creating an important positive impression, creating aesthetic visual landmarks, and enriching the public environment their inclusion in our green and public spaces certainly added to positive visitor experience reported by these attendees. 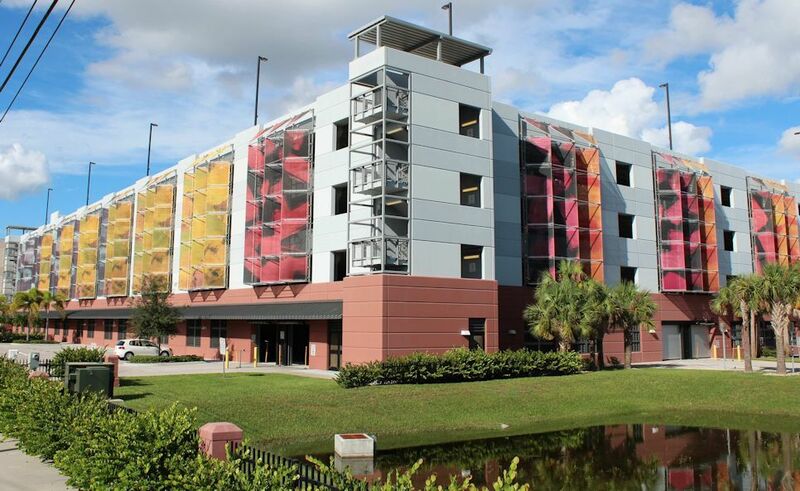 For example, several first-time visitors have reported mistaking the Lee County Justice Center Parking Garage for an art museum because of the art panels affixed to the exterior of the building. As an abstract matter, 82 percent of Americans believe arts & culture are important to local businesses and the economy according to a 2016 survey of 3,020 adults conducted by Ipsos Public Affairs for the Americans for the Arts. According to that same Americans for the Arts 2016 survey, 87 percent of Americans believe arts & culture are important to quality of life. Fort Myers has a compelling story to tell. 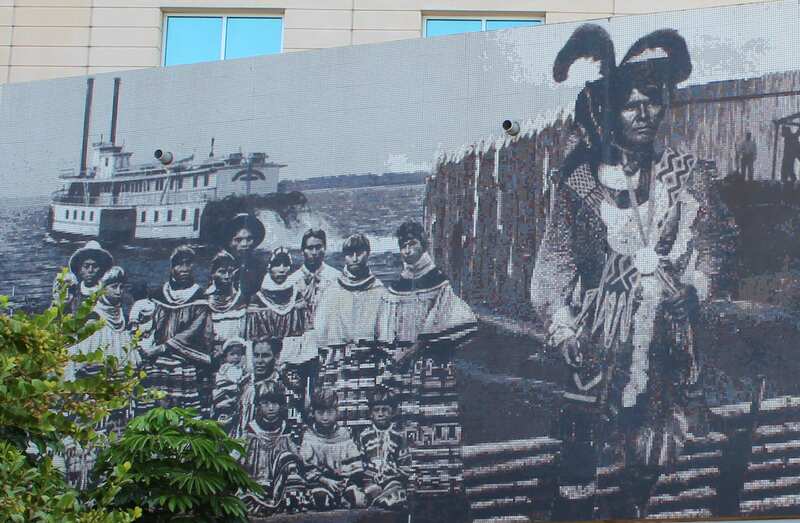 We were once the capital of the fierce Calusa nation and the place below the “crooked river” where the proud and undefeated Seminoles sought refuge as they were forced from their homes in Tennessee, Georgia and the northern part of our peninsula. 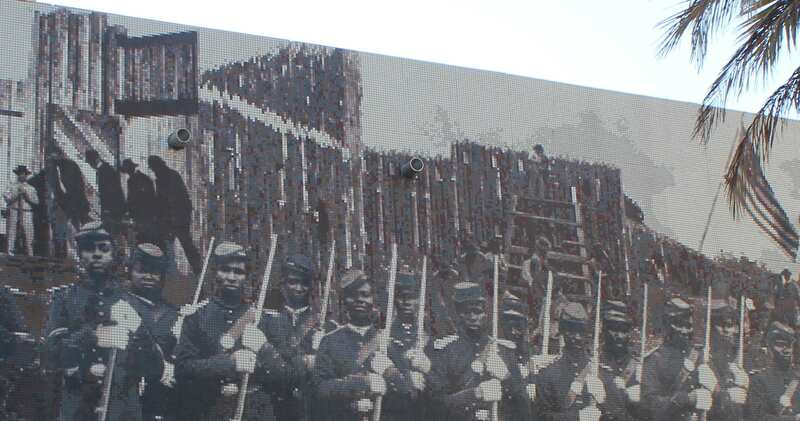 A Union stronghold during the Civil War, it was a regiment of African American soldiers who repelled an attack by Confederate sympathizers intent on burning the fort to the ground. We became a rough-and-tumble cow town in the decades following the Civil War before morphing into the tarpon capital of the world and the site of the nation’s largest citrus packing plant. Inventors like Thomas Edison and Henry Ford made Fort Myers their winter home, along with millionaires and leaders of commerce and industry. 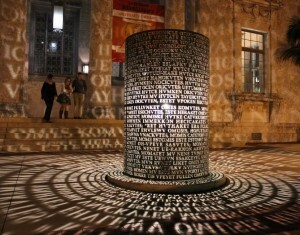 Our public artworks tell these and other stories from our past. In doing so, they boost civic pride, define the city’s identity and reflect our unparalleled character and history. And a number of these artworks have conveyed and burnished our image to the outside world. 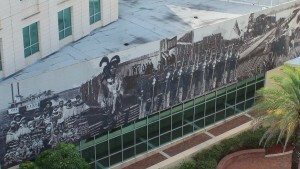 For example, those art panels on the Justice Center Parking Garage (known as Parallel Park) are not only the subject of a book, but articles in such nationally-renowned publications as ARTNews, NY Arts and even Parking Professional Magazine, as well as a solo exhibition at the Bob Rauschenberg Gallery at Florida SouthWestern State College. 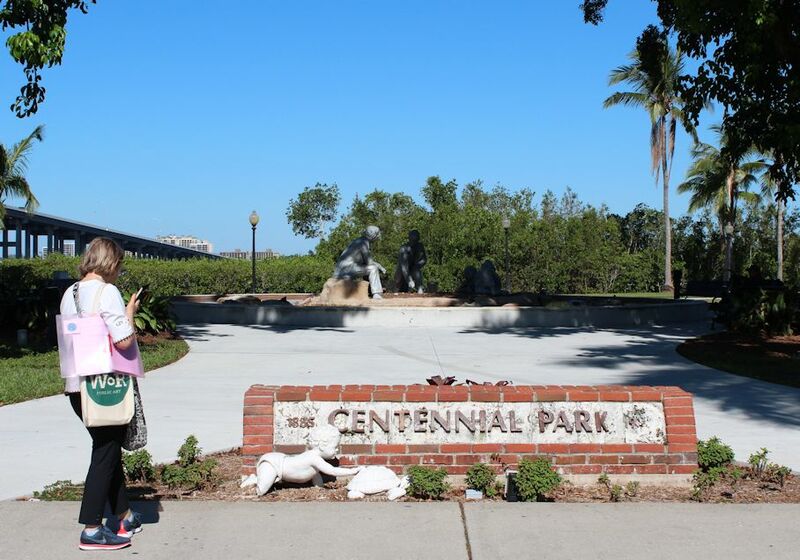 Uncommon Friends in Centennial Park was the subject of a one-hour PBS documentary narrated by Walter Cronkite. 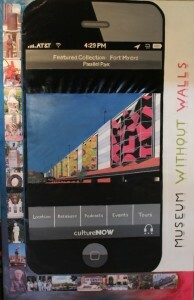 And the City’s public art collection received national notoriety when online public art compendium CultureNow.org made it their “collection of the month” in May of 2013. “You can tell a lot about a city by its public art,” observes real estate developer Bob MacFarlane. “It’s a sign that we care about creativity and culture, but most importantly, it signals that we care about enriching the lives of all the people who walk our streets, shop in our stores, dine in our restaurants, live in our buildings. Public art is a way for us to connect, engage, and enjoy the arts as a community. It’s for everyone.” McFarlane is the force behind the Beau Rivage, St. Tropez & Riviera luxury condominiums in Fort Myers (the $32 million Landmark waterfront luxury condominium project in Aventura, Florida and two high rises in Dallas) and the Campo Felice Retirement Center that is going into the former 24-story Sheraton Harbor Place/Amtel Marina Hotel between Bay and First Streets in a spot previously occupied by Fort Myers’ historic Hendry House and Royal Palm hotels. Creating a climate that’s conducive to artistic creativity is not just about supporting our own creative sector, it’s about laying the predicate for producing grade school, high school and college students who can apply ingenuity and innovation to solve industry problems and develop competitive commercial products in a global economy – in other words, the very kind of workers most sought after by top-notch companies like Chico’s FAS, Hertz and similar firms. 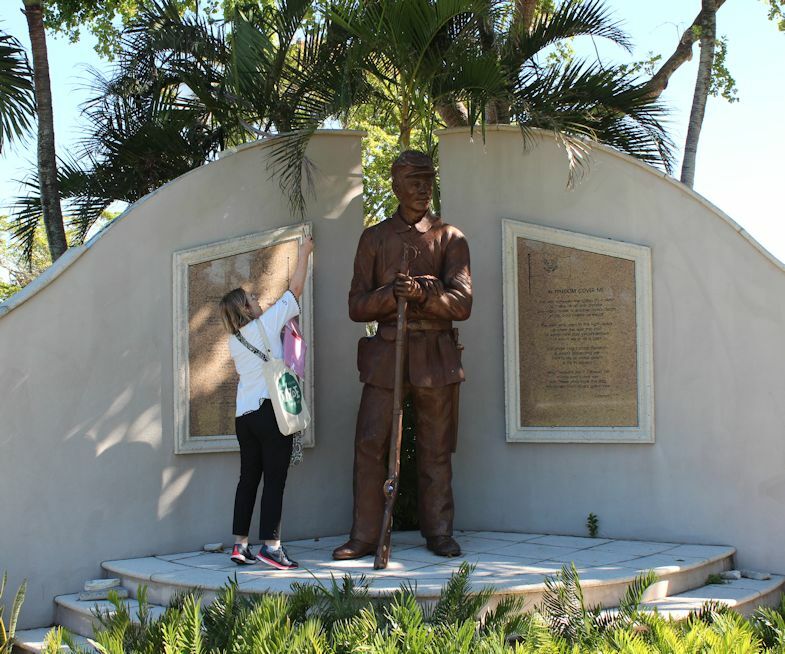 More than 450 municipalities, counties, states and commonwealths throughout the country have public art programs for these and a host of other reasons. 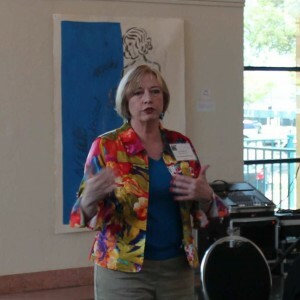 The Alliance participated in the study, collecting critical data from 39 nonprofit arts and cultural organizations in Lee County such as, by way of example, Art Council of Southwest Florida, Art League of Fort Myers, ArtFest Fort Myers, Arts for ACT Gallery, Bailey Matthews Shell Museum, BIG ARTS, Bob Rauschenberg Gallery, Calusa Nature Center, Cape Coral Arts Studio, Cape Coral Historical Society, Center for the Arts of Bonita Springs, Creative Theater Workshop, Cultural Park Theatre Company, Edison & Ford Winter Estates, Florida Repertory Theatre, Fort Myers Beach Art Association, Fort Myers Community Concert Association, Fort Myers Symphonic Mastersingers, Gulf Coast Symphony Orchestra, Imaginarium Science Center, Sanibel Music Festival, Sidney & Berne Davis Art Center, Southwest Florida Historical Society, Southwest Florida Museum of History, Southwest Florida Symphony, The Heights Foundation, The Laboratory Theatre of Florida, Theatre Conspiracy, Weavers of Char-Lee, WGCU Public Media and Young Artists Awards. In addition to money spent by nonprofit arts and cultural organizations, people attending art and cultural events such as art festivals, plays and concerts spent an additional $45.1 million in Lee County. This is not the cost of admission paid by attendees, but rather expenditures they made ancillary to the event for dinner in local restaurants, parking, gifts and souvenirs, babysitters, etc. To make this assessment, researchers took surveys during such events from 742 attendees. But given that the average person who attends an art or cultural event is part of a larger group, the surveys actually reveal the spending patterns of nearly 2,000 people. The study provides much-needed statistical support for a claim universally made by arts organizations and public art programs around the country. Arts and cultural events prompt cultural tourism. They draw visitors. In fact, more than half (55.4%) of all nonresidents visiting Lee County for an art or cultural event came specifically to attend that event. While most arts and cultural events are day trip destinations, the study reveals that more than 10 percent of those coming from out of town stayed the night, spending money on lodging, meals and fuel incident to their trip. Also of significance, researchers discovered that if the event had not occurred in Lee County, 52.5% of our local residents would have traveled to another county in order to attend a similar art or cultural experience. 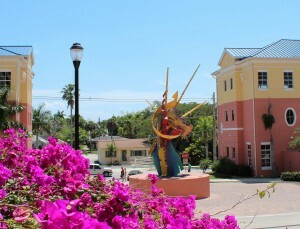 While the study does not quantify the economic contribution made by public art programs themselves, the conclusion can be extrapolated from the the report that by creating a cultural climate within a community that fosters artistic creativity, public art helps attract visitors, retirees and people and businesses who are seeking to relocate, thereby engendering economic growth and development. 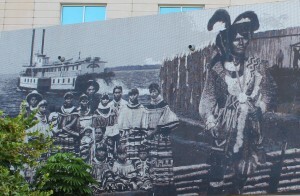 The federal government has a public art program too. It is called the Art in Architecture program and it was established on May 16, 1972 by a directive issued by President Richard M. Nixon that reinstated a program initiated under President John F. Kennedy in September of 1963 (but which was discontinued in 1966 due to the rising costs associated with the war in Southeast Asia). Under the mandate, the Public Buildings Service of the General Services Administration (GSA) allocates 0.5 percent of the cost of constructing federal buildings for the acquisition of public artworks. Ideally, the works purchased or commissioned are to draw attention to the history of the community in which they are installed. Locally, the ceramic tile mural called Fort Myers: An Alternative History was commissioned pursuant to the Art in Architecture Program. 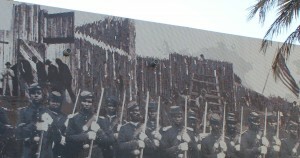 Created by Barbara Jo Revelle and installed in January of 1999, the mural contains rare historical photographs of the fort from which the city takes its name, 15 members of the 2nd Regiment of the United States Colored Troops, which defended the fort from Confederate attack on February 20, 1865 during the southernmost battle of the Civil War, one of the steer that the Confederates were after, and Seminole Chief Billy Bowlegs and several members of his tribe who were deported to Indian territory in Oklahoma by soldiers occupying the fort at the end of the Third Seminole War. Over the ensuing 35 years, the Florida Art in State Buildings program has been placing strong and impressive artwork by state, national and internationally-acclaimed artists in public spaces. And for three and a half decades, the state’s citizens and visitors have been enjoying and learning from them, benefiting from this “museum without walls” on a daily basis. 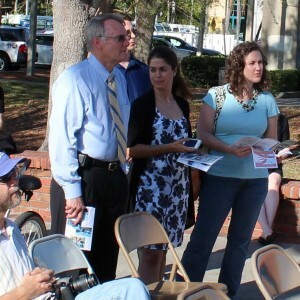 “There’s a resurgence in awareness of the value of showcasing the uniqueness of a community to attract new citizens, businesses and tourists,” said Florida Art in Public Buildings Administrator Lee Modica in 2005. Seven years of additional boots-on-the-ground experience has only served to solidify Modica’s conviction. 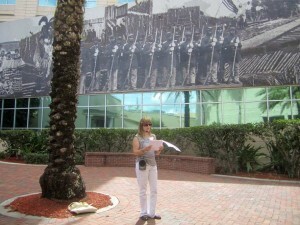 “Those of us who work in the field see every day the important role that public art plays in helping communities create an identity, encourage tourism, entice new residents and spur economic development,” she said during the 2012 annual conference of the Florida Association of Public Art Professionals which, incidentally, was held in Fort Myers. At present, Lee County has no official public art program. Nevertheless, the county is responsible for a number of works located within the contour of the River District. In 2010, the county partnered with the City of Fort Myers and its Public Art Committee to commission internationally-acclaimed New York abstract artist Marylyn Dintenfass to create 23 open-weave Kevlar and fiberglass art panels 33 feet tall by 22 feet wide in order to comply with a city building code that requires cars inside a parking structure be screened from public view. 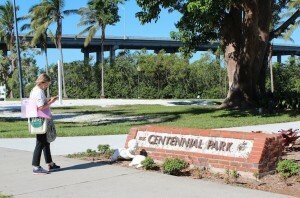 The resulting 30,000 square-foot installation known as Parallel Park is now one of the cornerstones of the city’s public art collection and an artistic landmark that has brought considerable national attention to Fort Myers in the form of a feature article in ARTNews Magazine (which has a worldwide readership of more than 200,000 people) and a monograph written by Aliza Edelman and published in 2011 by Hard Press Editions under the title Marylyn Dintenfass Parallel Park. 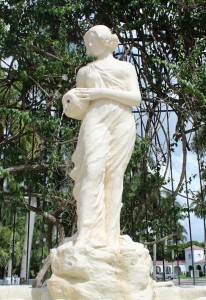 Last year (2011), the county funded the conversion of a termite-infested 200-year-old oak tree into a work of fine art when Fort Walton Beach chainsaw sculptor Marlin Miller offered to carve the decaying trunk into a soaring American bald eagle free of charge provided that the county cover his expenses. In 1998, the county commissioned the granite sculpture called Sun Gate from Robert Sindorf. At the time, the county did maintain a formal public art program, which it terminated a short time later. 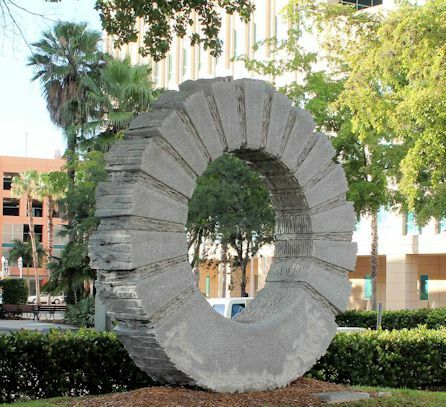 The process of repairing some of Fort Myers’ most beloved public artworks is now under way. 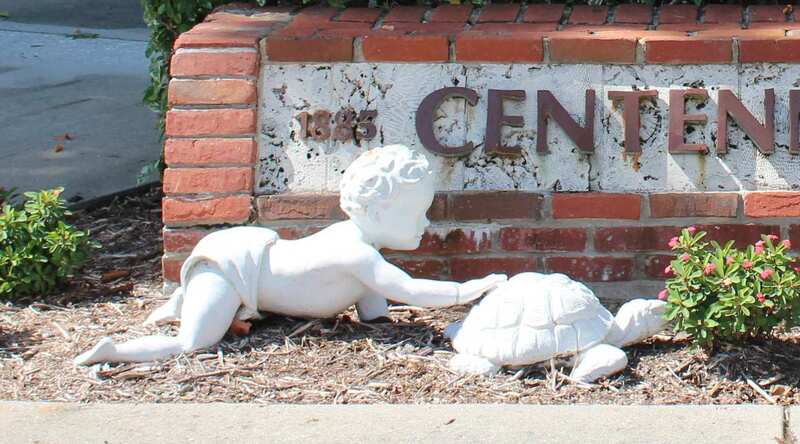 Veteran art conservator Rosa Lowinger was in town at the beginning of the month to survey damage to five Centennial Park installations and another located on the campus of Lee Memorial Hospital. 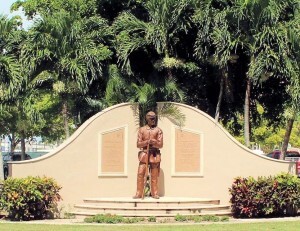 The artworks in question are Uncommon Friends, the USCT 2nd R egiment Memorial (popularly known as Clayton), The Florida Panthers (located in the median on Monroe Street between Harborside Event Center and the post office), The Great Turtle Chase and the Buckingham & Page Army Air Fields Memorial. 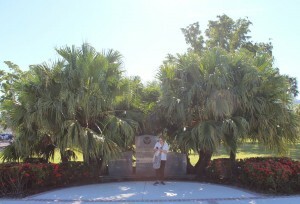 The Wes Nott Memorial is the one located at Lee Memorial. 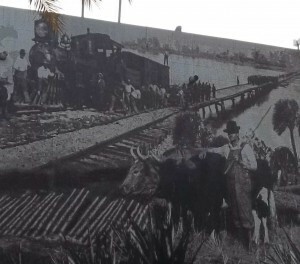 All six artworks have fallen into a state of disrepair – to the vexation of Mayor Randy Henderson, City Council, citizens who live and work in the River District, and the vacationers, winter residents and heritage tourists who flock to Fort Myers’ unique historic district in increasing numbers each year. 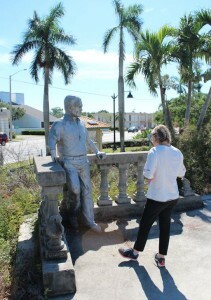 City Council allocated funds for the repair (known in art circles as “conservation”) of these artworks several months ago, but Ms. Lowinger and her company, Rosa Lowinger & Associates (“RLA”), first had to complete work on another of the City’s iconic sculptures, The Spirit of Fort Myers, which is located at the entrance to Edison Park, one of the town’s oldest and most venerable residential neighborhoods. 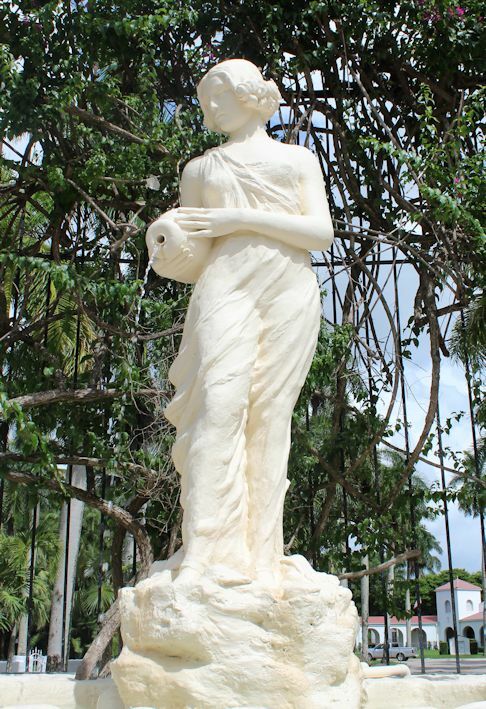 Extensive work to the 1926 sculpture (which is popularly known as Rachel at the Well) was completed this summer, clearing a path forward for repair of Wes Nott and the five Centennial Park pieces. Lowinger had originally been scheduled to inspect the artworks in early September, but as the track for Hurricane Irma shifted farther and farther west, the decision was made to postpone her visit. That turned out to be provident as all but the Buckingham & Page Memorial suffered additional damage during the storm. The conservation and associated site repairs will be performed under the supervision of Chris-Tel Construction, which engaged RLA to conserve The Spirit of Fort Myers incident to their repair of the Edison Park entry and colonnade. 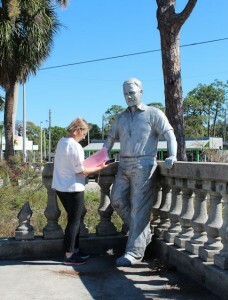 The Fort Myers-based contractor, which has built a reputation as a high-quality, highly trusted cornerstone of the local building community, has selected RLA for the next round of conservation work based on the strength of their international reputation as specialists in the conservation of modern and contemporary sculpture, architecture and public artworks. Among RLA’s clients are the cities of Miami Beach, Coral Gables, Los Angeles, San Jose, Santa Monica, Sante Fe Springs and Honolulu. RLA has done extensive work at the Vizcaya Museum & Gardens and the Cathedral of St. Trinete in Port Au Prince Haiti. They have undertaken the latter work for the Smithsonian Institution and the Haiti Cultural Recover Center. In addition to The Spirit of Fort Myers, RLA also conserved Lorelei, an 1880 Italian marble sculpture once located outside the entrance to the Fort Myers-Lee County Library on Jackson Street and which was relocated in 2014 to the Berne Davis Garden at the Fort Myers-Lee County Garden Council on Virginia Street. RLA anticipates beginning work on the Wes Nott Memorial and the Centennial Park installations in February of 2018, with completion projected by the end of March. 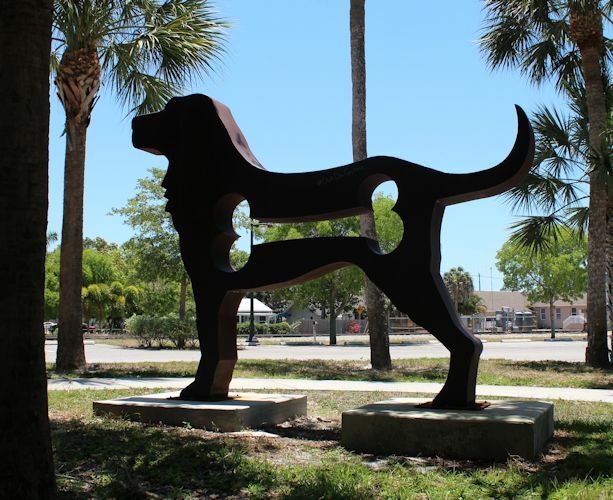 All work will be performed under the review of the City of Fort Myers Public Art Committee, which invites concerned citizens and other interested parties to refer all inquiries to the Public Art Liaison, Donna Lovejoy, at 239-321-7217. 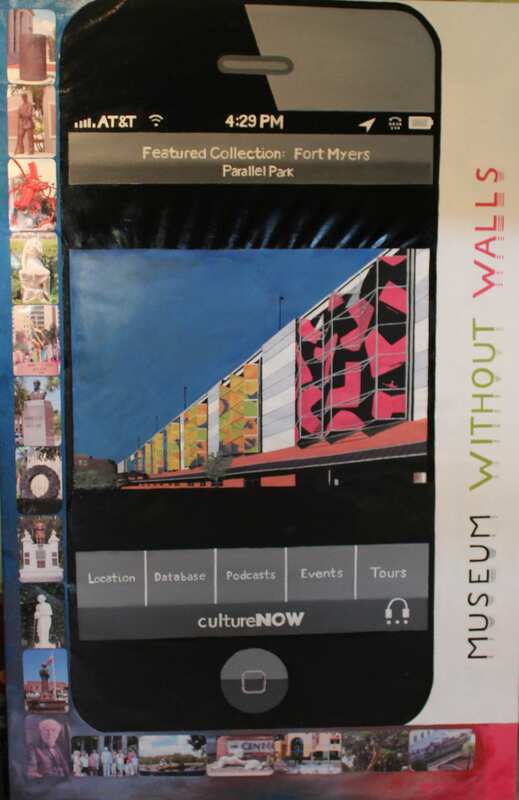 For more information about the City of Fort Myers’ public art collection, please obtain a copy of the newly-published “The City of Fort Myers Public Art Collection” brochure. 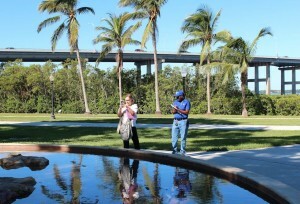 Both the employee and the park visitor changed their tunes when they heard how public art creates jobs and attracts tourists. It’s true. 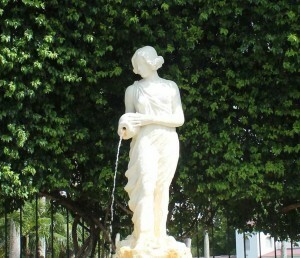 For example, did you know that many people consider a town’s public artworks when deciding whether to move or stay there. That’s what Gallup and the John S. and James L. Knight Foundation discovered when they asked 43,000 people in 26 communities to name the top three factors they considered when choosing a place in which to live. “A city’s art, parks, and green spaces are more important than education, safety, and the local economy” when it comes to inducing residents to develop a binding attachment to the town or city in which they live, Gallup and the Knight Foundation reported at the conclusion of the three year study. And this doesn’t change much from one place to another. The story proves an important point. Retirees, winter residents, and companies like Hertz can relocate anywhere, and while Fort Myers and Lee County have many endearing amenities and attributes including temperate climate, proximity to sandy beaches, tarpon fishing and heritage, so do hundreds of other locales. 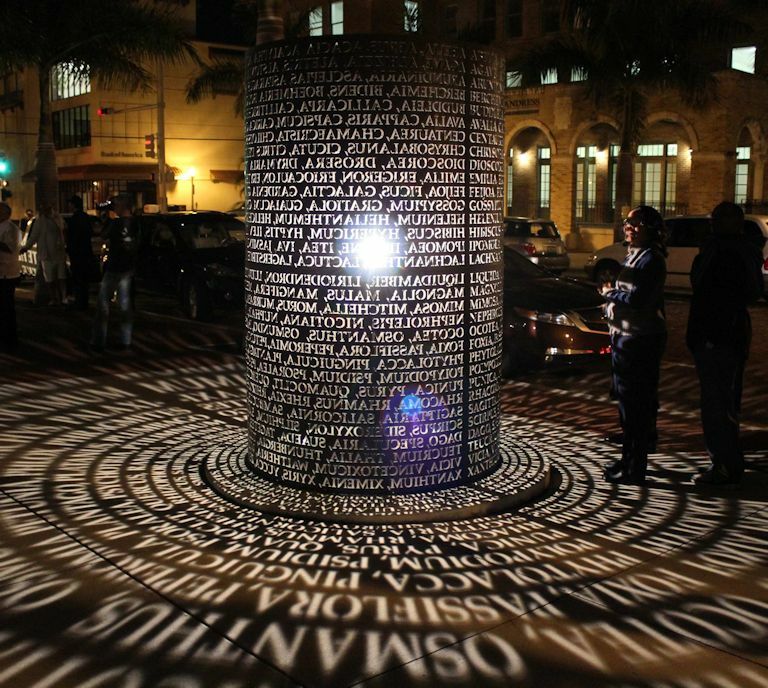 In this day and age, a vibrant public art program is not just aesthetically pleasing. It can often be a tipping point for folks with discretionary income and assets who are looking for a place in which to retire, winter, visit or relocate their business. But public art also provides important benefits for the people who already live and work here. A vibrant public art program not only encourages cultural and heritage tourism and associated economic development, it increases property values, rental rates and the turnaround times for the sale of proximately-located commercial and residential property. The benefit derived by developers and homeowners in terms of increased selling prices, rental revenue and full-occupancy rates far, far outstrips the meager 1/10th or half a percent public art fee that the Public Art Committee is seeking. And on top of that, the art installed provides a better quality of life, enhances civic pride and fosters a discussion of art and aesthetics even (or perhaps especially) if a particular piece is not to one’s liking. For decades, urban and civic planners have identified more than three dozen benefits associated with public art. The Gallup/Knight Foundation survey notwithstanding, no study has been conducted which measures the correlation between public art and tourism, economic growth and development. But a recent study by Americans for the Arts does lend credence to the fact that public art attracts tourism and drives economic development. According to the Arts & Economic Prosperity IV Study conducted by the Americans for the Arts with the help of non-profit organizations like the Alliance for the Arts, the arts and culture industry generated $132.5 billion dollars in economic activity in the United States in 2010 – $61.1 billion in expenditures by the nation’s nonprofit arts and culture organizations, plus an additional $74.1 billion in event-related expenditures by their audiences, supporting 4.1 million full-time jobs. 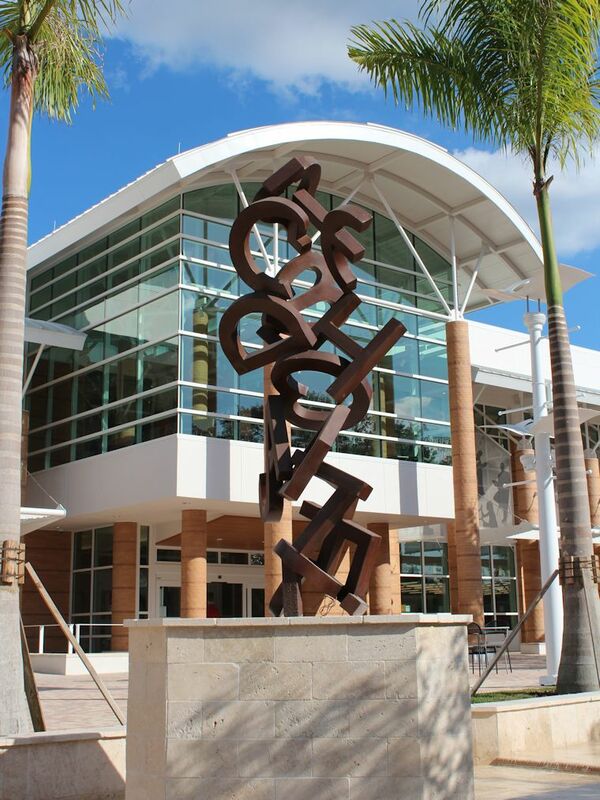 Locally, Lee County’s nonprofit arts and culture industry generated $68.3 million in economic activity in 2010, supported 2,038 full-time equivalent jobs, and produced $9.4 million in revenue for the City of Fort Myers, Lee county and the state of Florida. 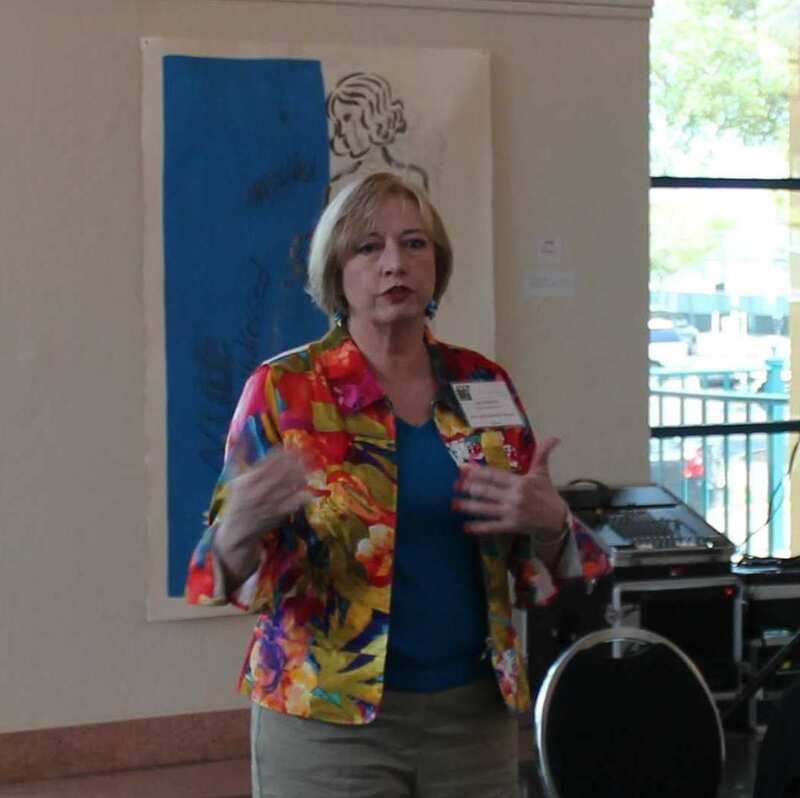 Moreover, in excess of 522,000 people travelled to Fort Myers and Lee County to attend local art fairs, festivals, exhibits and cultural events. The City of Bonita Springs gets it. The City of Naples does too. So does Sarasota, and 32 other municipalities and 13 counties across Florida. Interestingly, the vast majority of the cities and counties that have active public art programs are recognized worldwide as tourist destinations and centers – including Bradenton, Boynton Beach, Clearwater, Coconut Creek, Coral Gables, Coral Springs, Delray Beach, Dunedin, Fort Pierce, Fort Worth, Gainesville, Homestead, Jacksonville, Key West, Largo, Miami Beach, Orlando, Pompano Beach, St. Petersburg, Tampa and West Palm Beach.